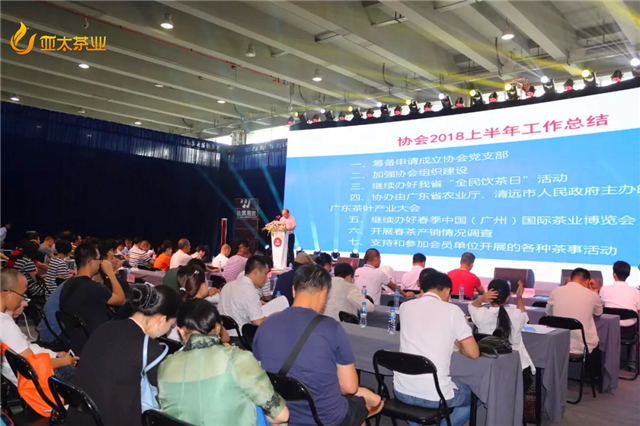 In the afternoon of May 25, 2018,the third session of the Second Council of Guangdong Tea Industry Association and 2018 China tea industry development report were held in the China (Guangzhou) International Tea Expo Pavilion. 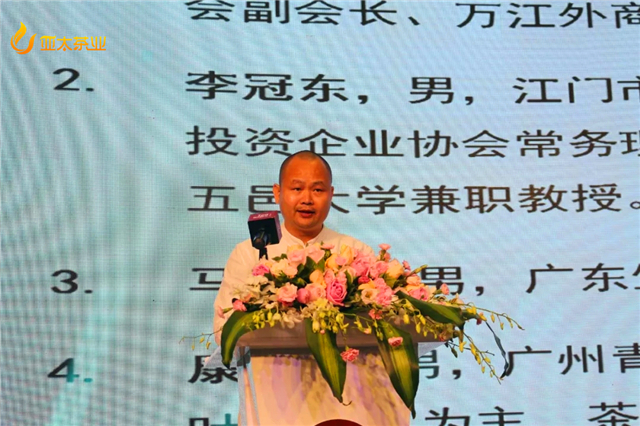 Mu Youwei,vice president of China Tea Circulation Association, president of Guangdong Tea Industry Association, Zhang Liming,vice president, Cao Fanrong, Chen Hua, Wu Shihai, Chen Weizhong, Lu Xiaoqin, Liang Kunlun, Xu Xiaoyu, Pan Jianfei, Zhang Yanping, Yuan Zhishen,Li Shuiqing,LuShuxun,supervisor,PengRongqing,secretarygeneral Shao Wei, as well as the Standing Council Members., a total of 107 members,supervisors and representatives attended the meeting.The meeting was chaired by vice president Chen Hua. The meeting had two parts: first, council members and representatives listened to domestic and foreign tea industry development and market analysis report; second, convened the association of the third session of the Council. The meeting was first made by Mu Youwei about "China and the World Tea Industry" special report on trade development. With the rich experience of tea import and export trade for several decades, president Mu had shared the development trends of Chinese and the world tea industry in four aspects: the relationship between Chinese tea and the international tea market, the comprehensive status of Chinese tea, the historical opportunity of the Chinese tea going out and how to push the Chinese tea to the world. 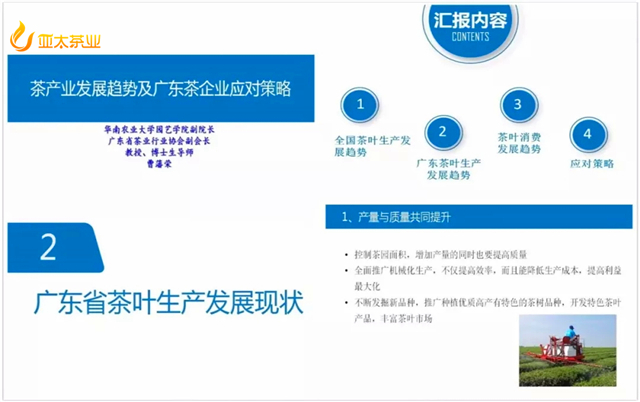 The report analyzed the development trends of tea industry at home and abroad with detailed historical materials and data, and how to push Chinese tea to "go out" and promote the prosperity and development of tea industry in China. 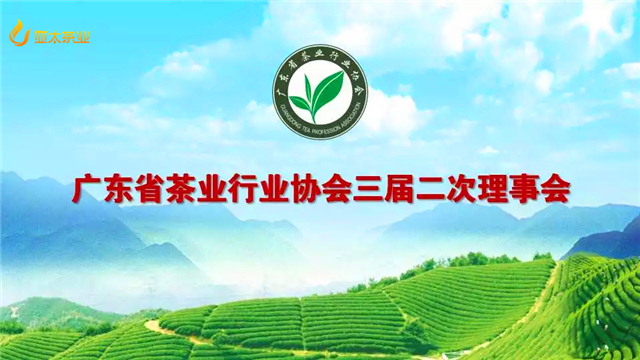 President Mu's report to all of us council members in the tea production and marketing, has a good learning and reference role, caused a warm response. 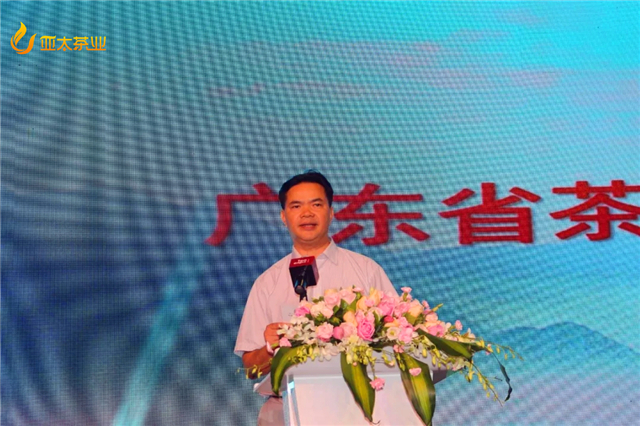 Vice president, professor Cao Fanrong, vice dean of Horticulture College of South China Agricultural University, made a special report on the development trends of tea industry and the strategy of Guangdong tea enterprises. 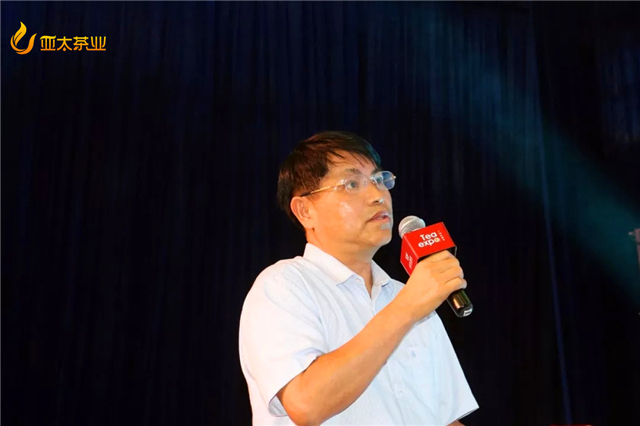 Vice president, professor Cao Fanrong, vice dean of Horticulture College of South China Agricultural University, made a special report on the development trends of tea industry and the strategy of Guangdong tea enterprises. In his report, Professor Cao made a detailed analysis of the development and consumption trends of tea in and out of the province from four aspects, namely, the development trends of tea production throughout the country, the development trends of tea production in Guangdong Province, the development trends of tea consumption, and the coping strategies. It also puts forward many valuable suggestions on the existing problems, which has a good reference and significance for how to strengthen and enlarge Guangdong tea industry and promote tea consumption trade. After listening to the excellent reports of the two experts, the meeting entered the board segment. The council had five agenda items: first, to review the work summary of the first half of 2018 and the second half year of the work plan; second, to examine the amendment of the association's Constitution; third, to review the bill on the list of additional members and new members; Fourth, to review the organization of business exchanges to Russia; fifth, to license the third Council of the Association. The meeting first heard the work report of president Mu Youwei. 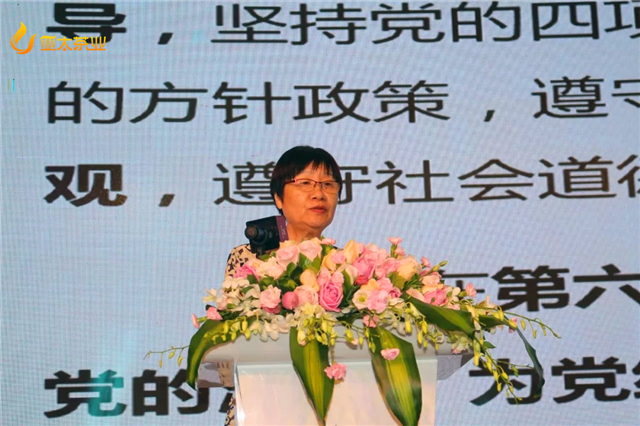 President Mu summed up the work of the association this year in detail, according to the report, the association, under the care, support and guidance of the Bureau of Social organization of Guangdong Province and government departments, under the correct leadership of the Council, under the joint efforts of all member units, has done a great deal of work for the tea industry inside and outside the province, and has achieved good results, the role of social organizations was fully played, and the work plan for the second half was presented by the secretariat. President Mu’s work report was unanimously considered by the participating directors. 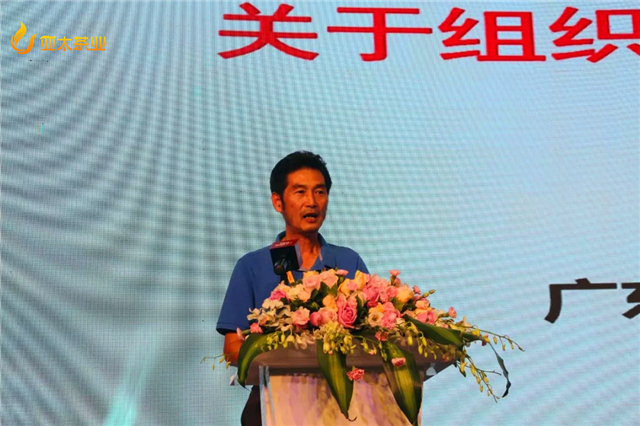 At the meeting, Zhang Liming, vice president of the association made a change of regulations, and revised the draft constitution to the association for consideration. After the meeting, the council voted unanimously. At the same time, the meeting considered the motion on the consideration of the list of additional members and new members of WuShihai,ShaoWei secretary-general on the organization of business visits to Russia to exchange information, and unanimously voted. 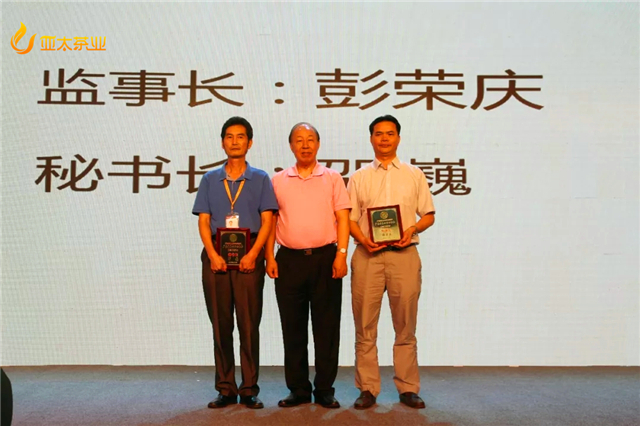 At the end of the meeting, Mu Youwei awarded honorary plaques to vice presidents,executive directors,secretary and supervisor of the third session of the Council. The Conference fully carried out the democratic, brainstorming, in the joint efforts of all the participants, the successful completion of the established agenda,and achieved a successful conclusion.